Nothing fancy here. I just thought the flower was interesting. It's a cell phone shot, auto everything. These are grown for decoration around many of the buildings at UC San Francisco. 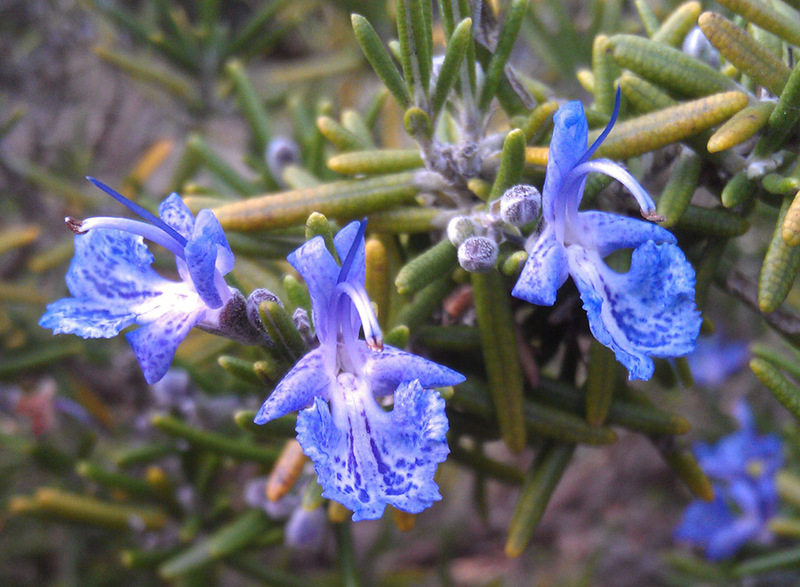 My rosemary doesn't get flowers like that. I suppose there are different cultivars, and perhaps even very different plants with the same common name. These nicely match the flowers on the labeled plant at the Arboretum, and things like this are mostly what turn up when I do a Google search on rosemary flowers. What do yours look like? Or does it not make flowers at all? I'll watch closer next time they bloom. Seems they were a fairly formless tiny non-interesting bloom if I remember correctly.